Liquidspace helps professionals find flexible workspaces across an expansive network. The company believes in directly connecting professionals and growing teams with service providers in an efficient, no-hassle environment. Their platform reduces wasted office space and makes workspace leasing both affordable and flexible. Members search over 5000 work spaces in 600 cities across the United States, Canada, and Australia. LiquidSpace’s real-time marketplace of office spaces is available for startups, freelancers, business owners, corporate real estate managers, and office centers. To facilitate the connection between owners and tenants, LiquidSpace has an automated tour and booking process, ready-to-go lease agreement, and secure payment center. Property managers and owners can manage leads and receive market insight data. Business in need of an event or coworking space search for availability based on their needs. 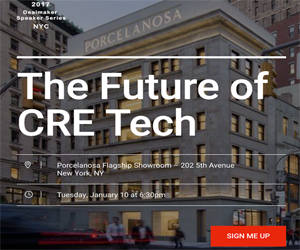 Commercial real estate owners can rent their underutilized spaces using the online marketplace. LiquidSpace’s provided tools make leasing less complex and more efficient. Professionals use LiquidSpace to search for a variety of space needs, from one-time event space locations to long term team offices. The customizable search engine provides real-time updates on availability. Startups take advantage of flexible booking policies as companies grow. The workspace concierge assists with office space searches and smooths any leasing issues. To add your company to our real estate directory, complete the form on the bottom of this page. Browse more companies here.